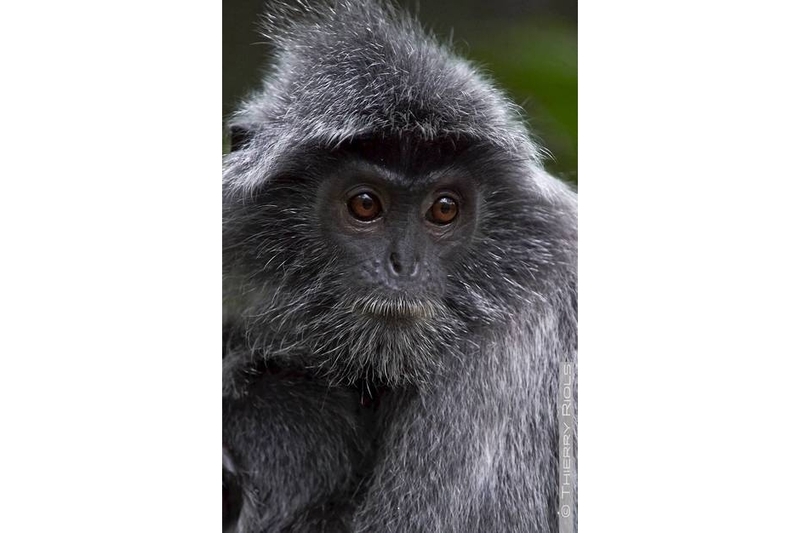 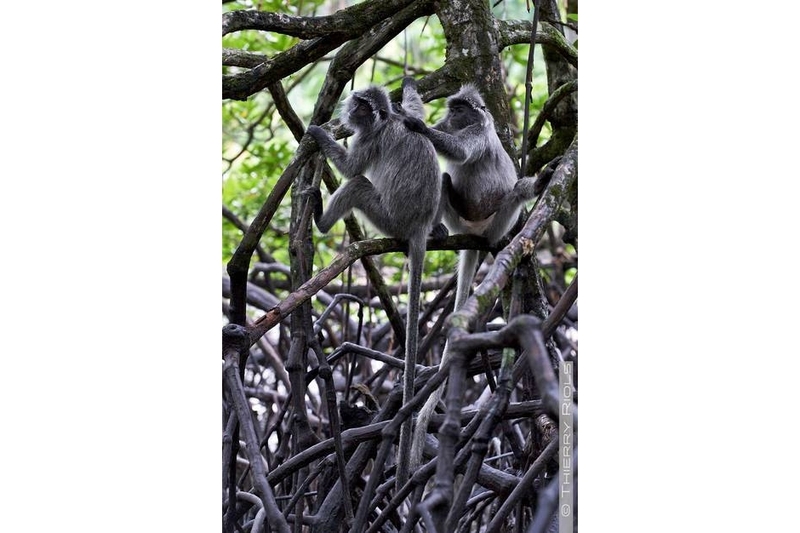 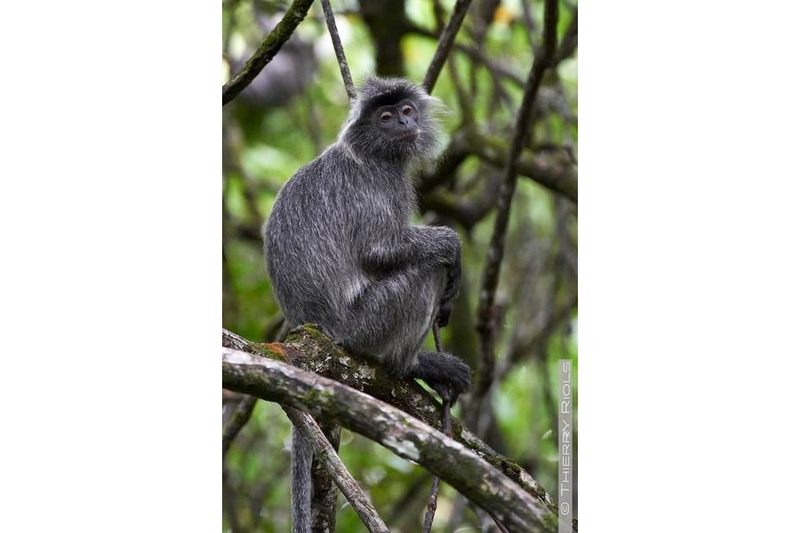 Silvered Langur -Trachypithecus cristatus Langur - live in mangroves and coastal forests of southeast Asia and Borneo. 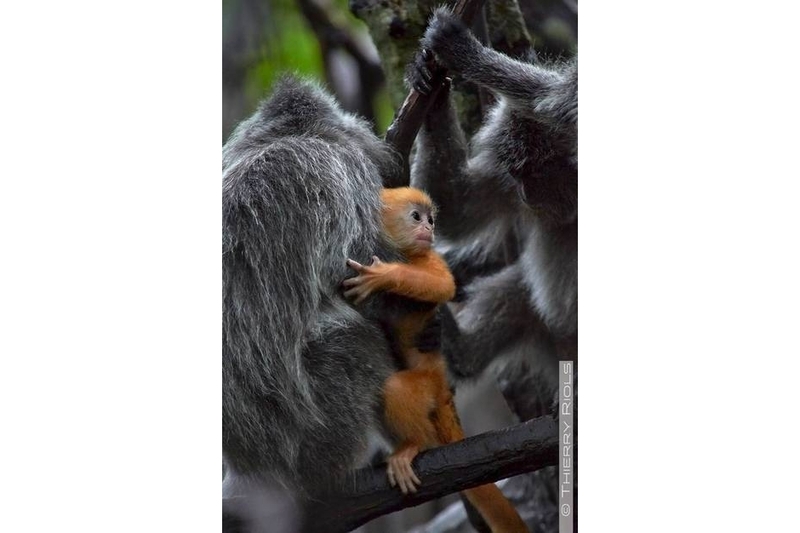 With a size between 50 and 60 cm this little monkey evolving group of up to 30 individuals, under the authority of a dominant male. 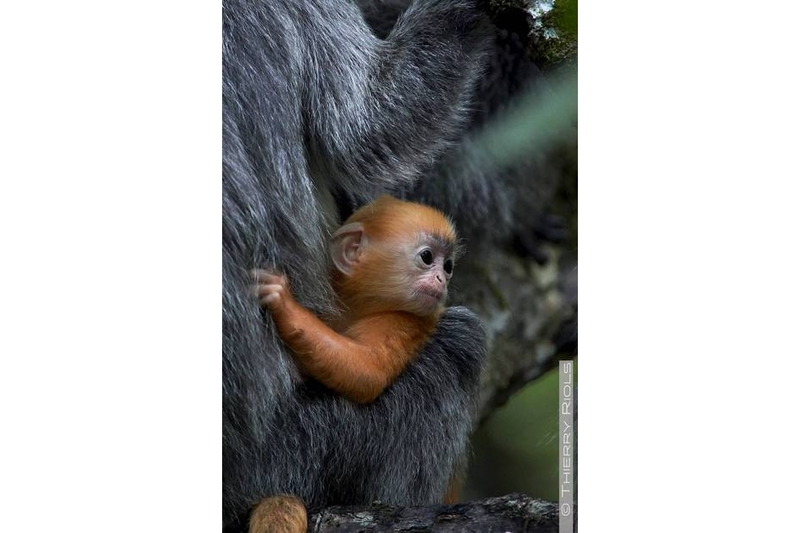 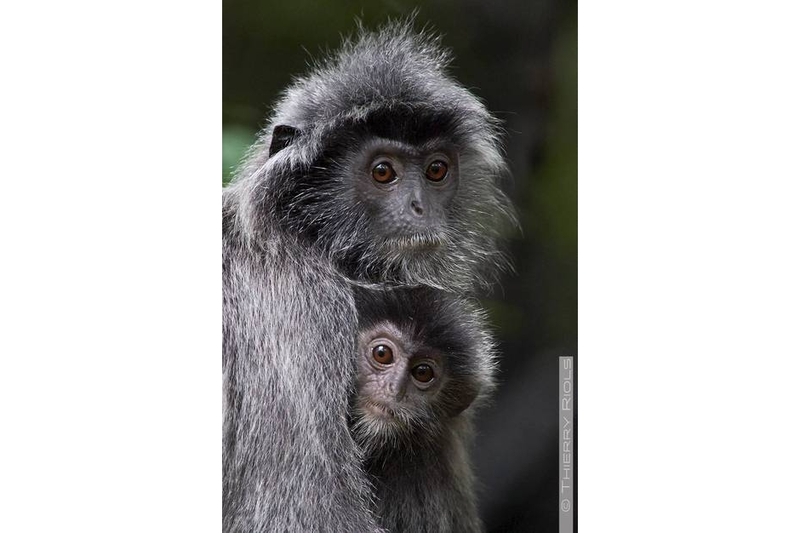 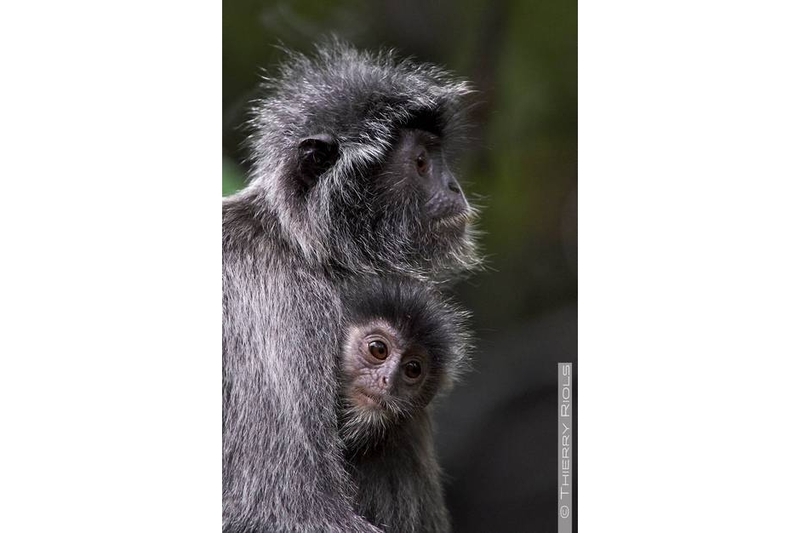 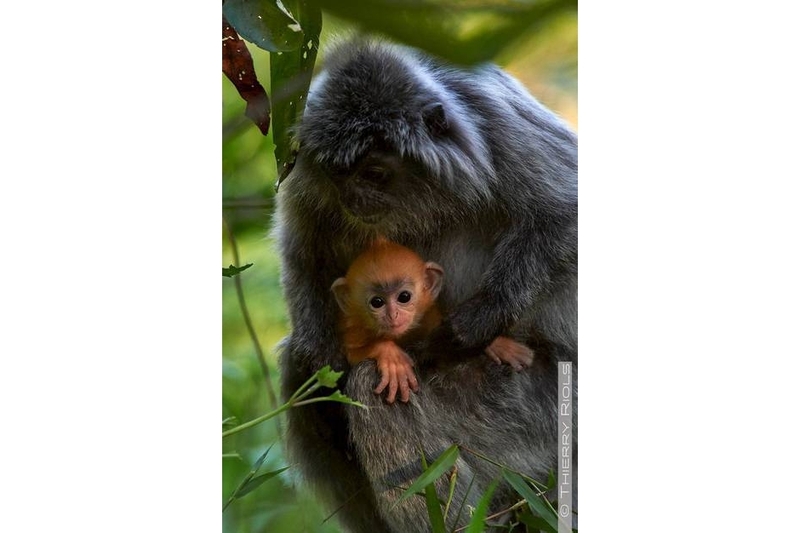 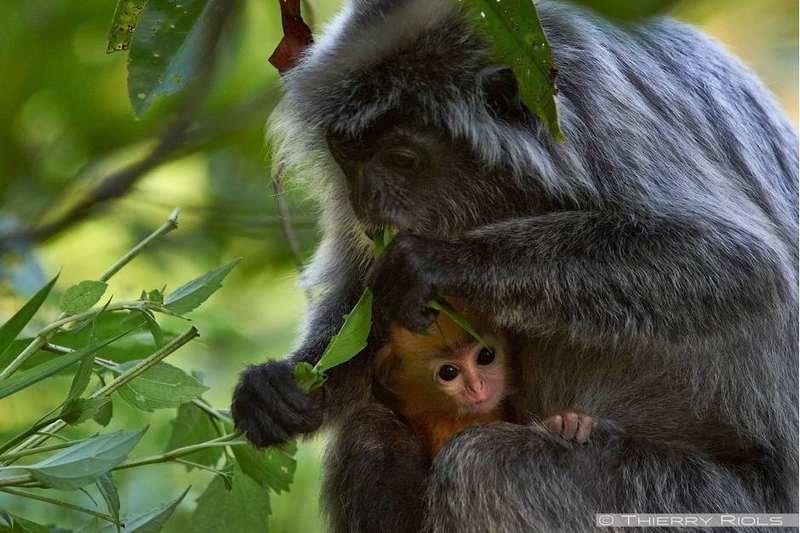 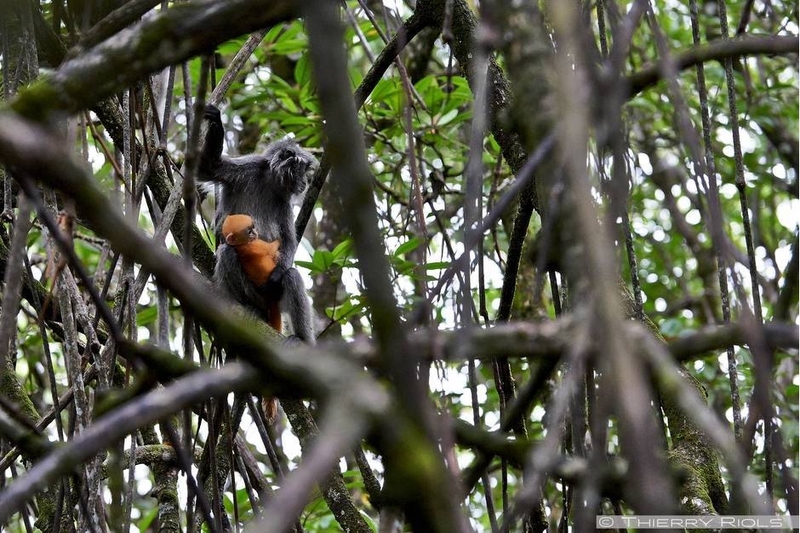 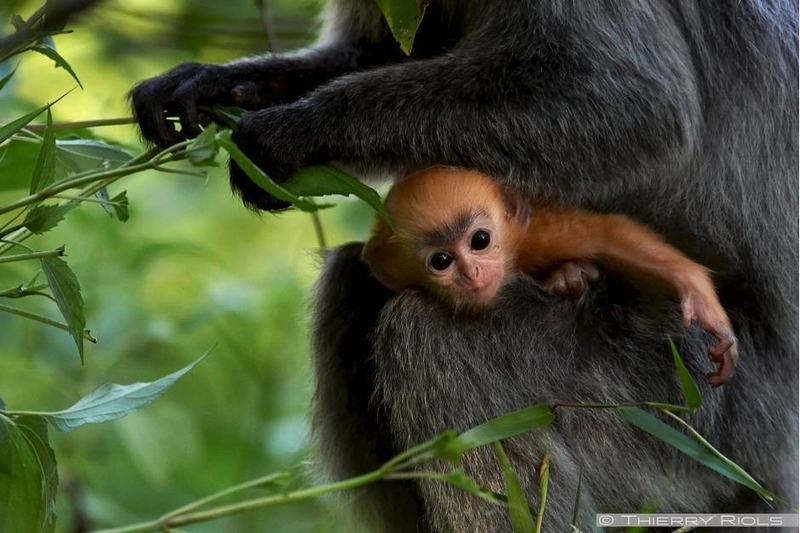 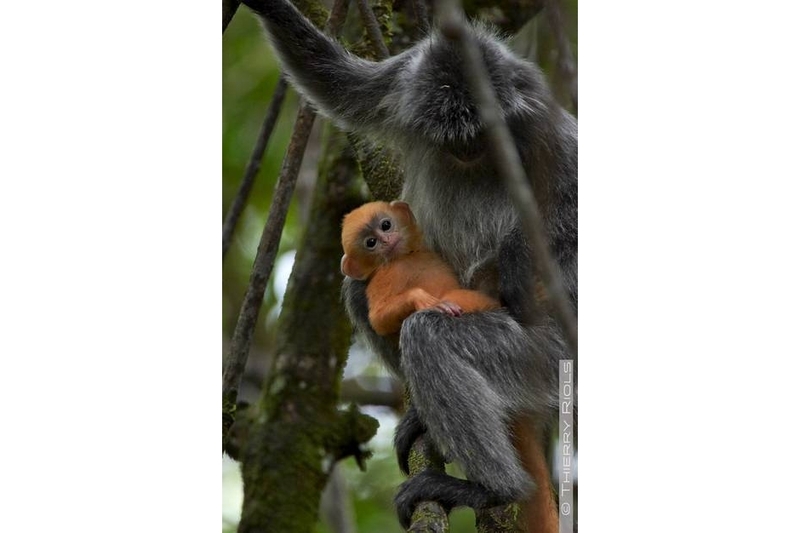 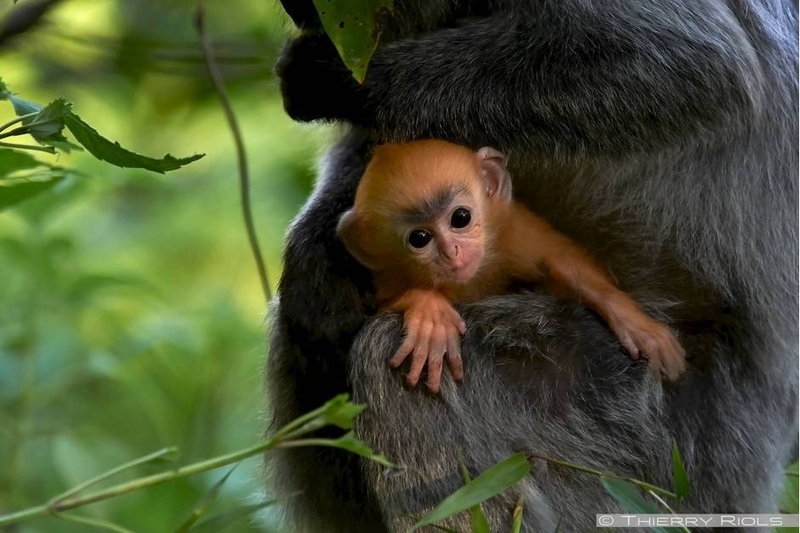 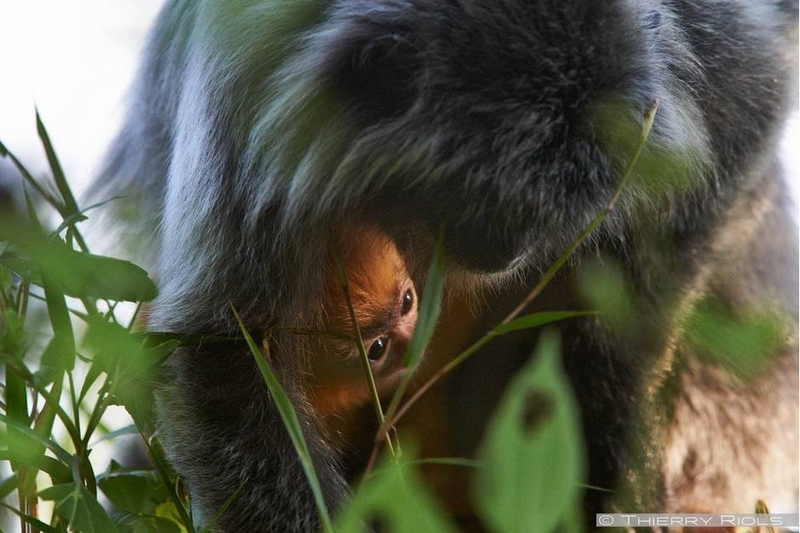 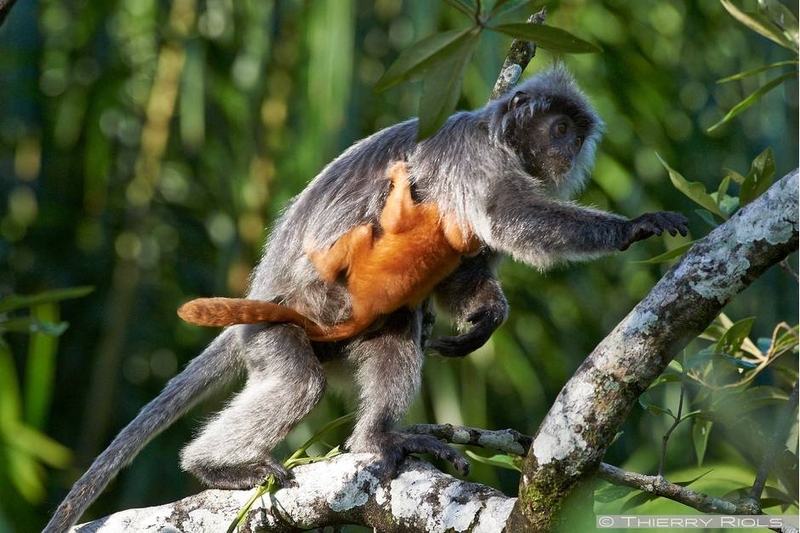 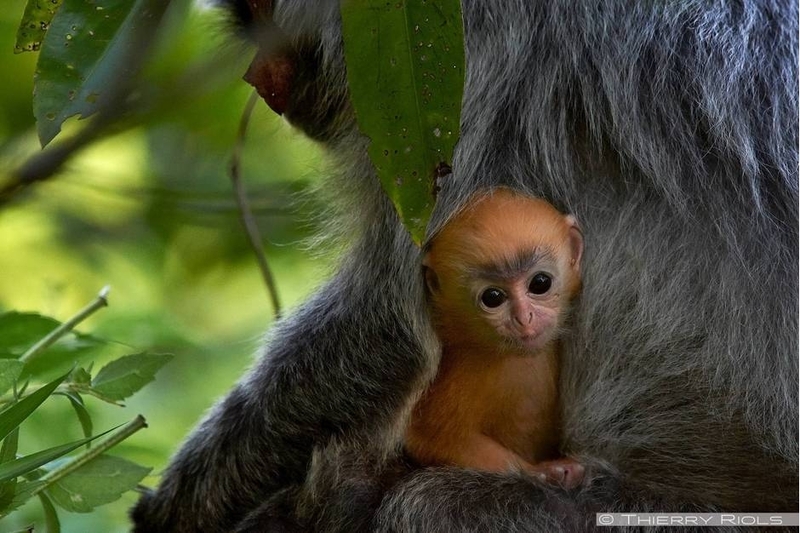 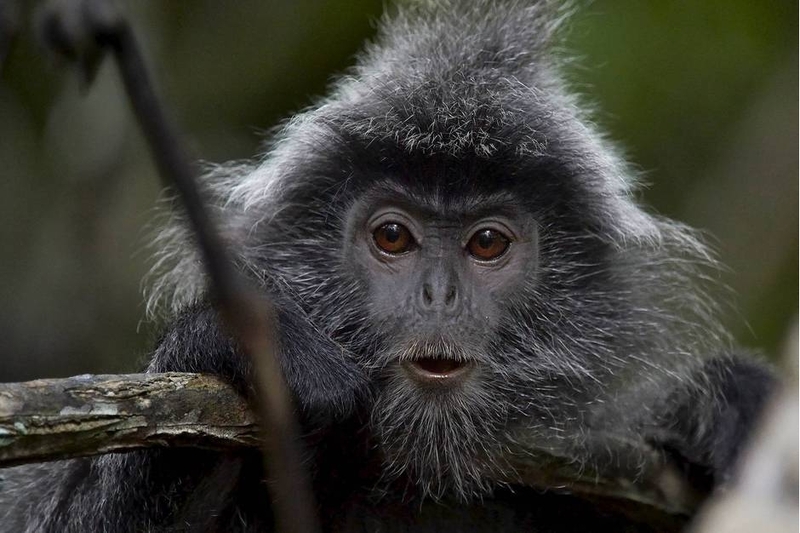 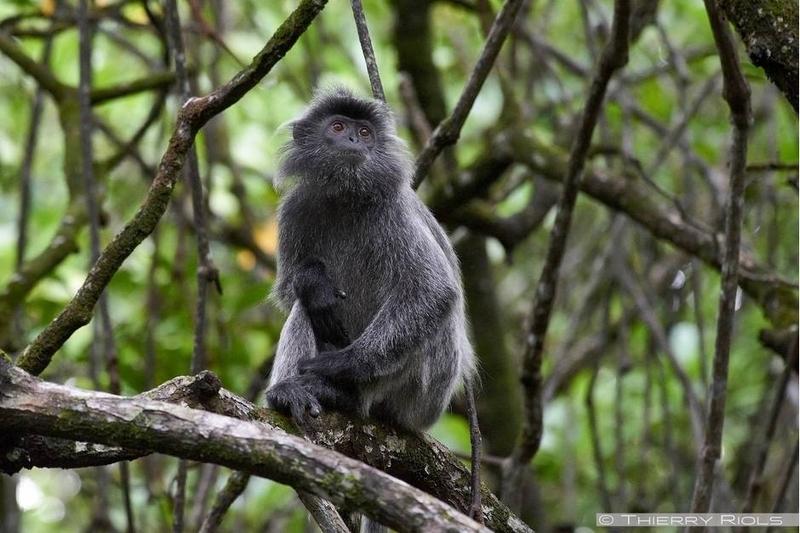 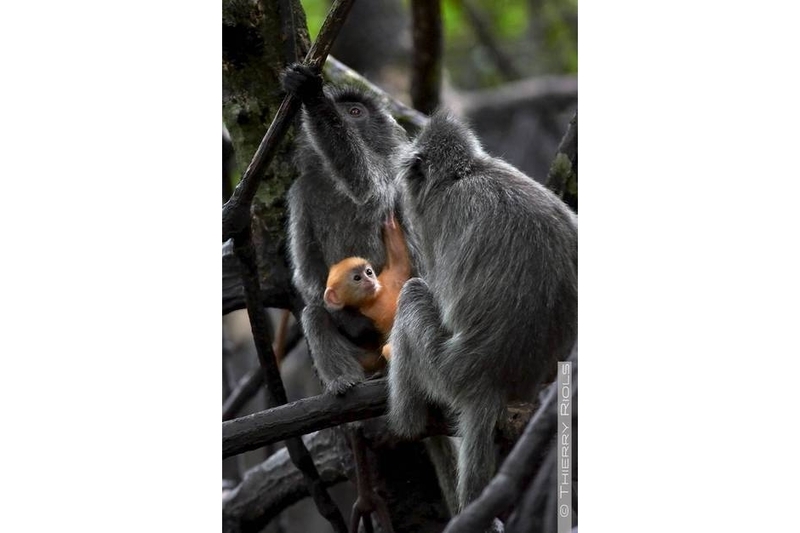 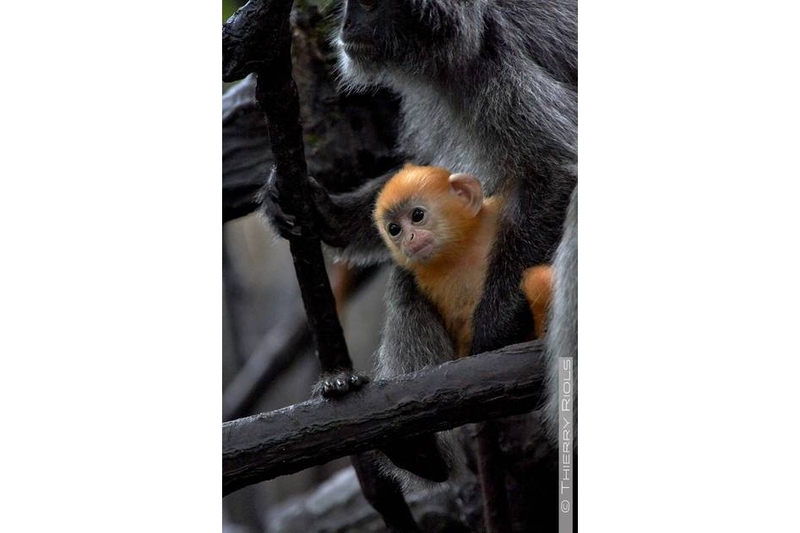 Characterized by a mustache and a silver crest, langur gives birth to a baby wearing a red coat that he will lose about 6 months.